Jay Hill remembers the moment when Weber State’s football players initially showed some belief in his program. In the second game of his first season, the Wildcats competed favorably in a loss to quarterback Carson Wentz and national power North Dakota State. And then they just kept losing … and losing … and losing. The digging is not done, but Weber State football is fun again. The Wildcats (4-1) are a top 20 team in the FCS. They’re battling for a Big Sky Conference championship and have regained the toughness that former coach Ron McBride brought to the program a decade or so ago. “We’re far from arrived,” Hill said. Yet the Wildcats have come a long way since he moved from the University of Utah coaching staff and lost his first nine games in 2014. 2014 • 2-10 (2-6 Big Sky). 2015 • 6-5 (5-3 Big Sky). 2016 • 7-5 (6-2 Big Sky). 2017 • 4-1 (2-0 Big Sky). This season, those titles have included an edition of the “One Minute Manager” series and Urban Meyer’s “Above the Line: Lessons in Life and Leadership From a Championship Season.” The book on Hill, 42, is that he’s a composite character of some notable Ute coaches he played for or worked with (and he’s a much better golfer than any of them). 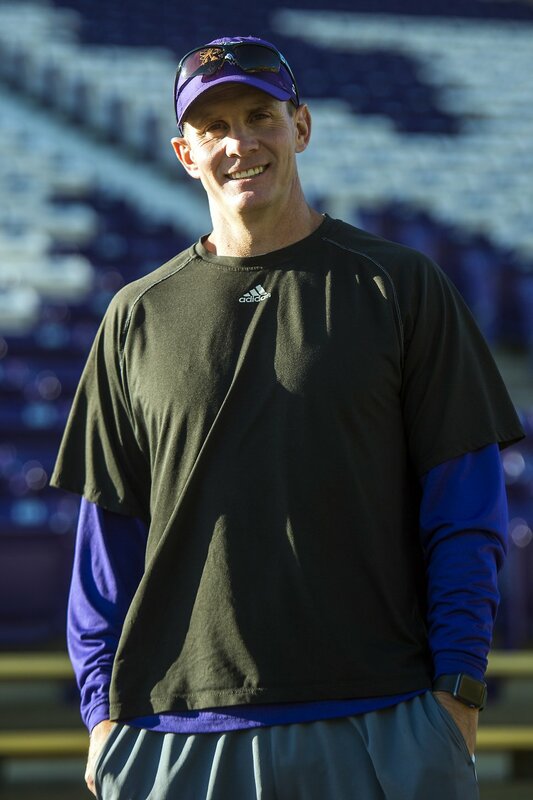 A former Ute defensive back in the McBride era, Hill broke into the profession under Meyer and then was a full-time assistant to Kyle Whittingham for nine seasons, with diverse assignments. 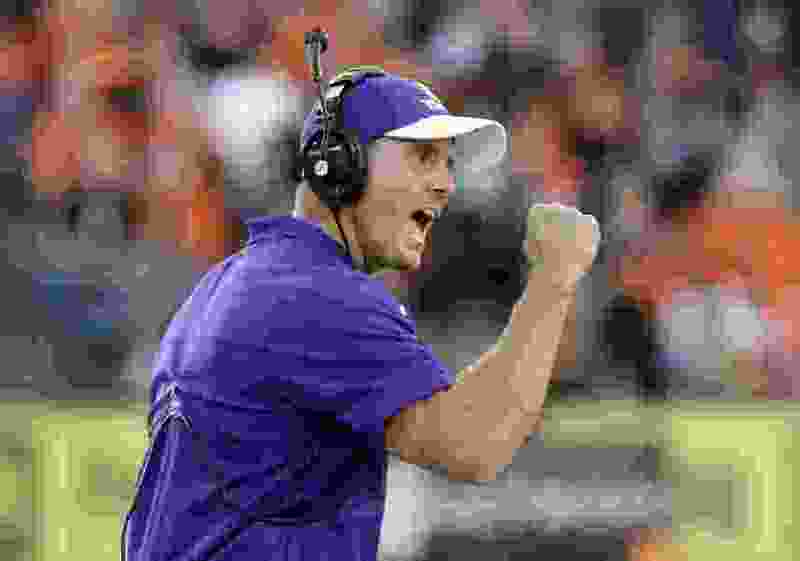 He worked with three other current or former head coaches — defensively with Gary Andersen and Kalani Sitake and offensively with Dennis Erickson — besides directing Utah’s special teams. No coach who never was an offensive or defensive coordinator could match that kind of experience, which he documented with notes on yellow legal pads. More than anything, Hill has succeeded in Ogden by sticking around. (Chris Detrick | The Salt Lake Tribune) Weber State football Head Coach Jay Hill poses for a portrait during a practice at Stewart Stadium Wednesday, October 4, 2017. The Wildcats have improved in each of his four seasons. As of Hill’s 0-9 start, Weber State had lost 28 of 32 games, a slump traceable to John L. Smith’s vacating the job in 2012 before he ever coached a game. Beginning with Hill’s first victory, at North Dakota in November 2014, the Wildcats have gone 15-6 in Big Sky play and 19-12 overall — the second-best record for a Utah college program in that period. Since Nov. 8, 2014, the day of coach Jay Hill’s first victory, Weber State has the second-best record of Utah’s five FBS or FCS programs. Even in their only defeat this year, the Wildcats made a good impression. They led California 20-17 entering the fourth quarter in Berkeley, and later could have have tied the game with a trick play. But a running back missed a wide-open receiver with his pass attempt and Cal eventually won 33-20, despite Stefan Cantwell’s 431 passing yards for Weber State. That’s how the Wildcats want to be known. Murphy, from Lone Peak High School, is among the seniors who are enjoying Weber State’s success even more, having lived through those dark days. Cantwell, a senior from Bingham, is a rare case in recent history of an in-state product quarterbacking a local college team, and Utahns compose the core of the team. Hiil is from Lehi and his staff members have strong ties to the state, making this even more of a made-in-Utah production. Yet he’s shrewd enough as a recruiter to frame the program more broadly, citing how Californians such as tight end Andrew Vollert and cornerback Taron Johnson have given the Wildcats some big-time playmakers at the FCS level. NFL scouts keep visiting Stewart Stadium, and more fans than the Wildcats’ current average of about 9,000 may attend games against Southern Utah (Saturday), Montana (Oct. 28) and Idaho State (Nov. 18). The likely showdown for the Big Sky title is Nov. 4 at Eastern Washington, and the Wildcats could position themselves to host an FCS playoff game. That would represent another breakthrough for Hill’s program – and, eventually, good material for a book of his own.